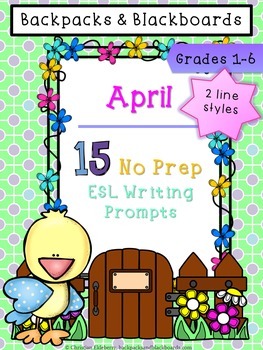 Have fun writing and encouraging critical thinking skills as well as vocabulary development with these 15 writing prompts for the spring month of April! Created with an international classroom or ESL student in mind, these writing prompts are ready to print and use to spark imagination! 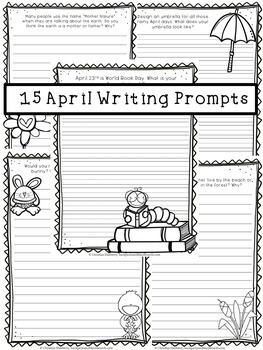 Use these writing prompts as warm-ups, homework, extension corner handouts, or as follow-ups to lessons or readings this April! If you have any questions, please email Christian Ekleberry, Backpacks & Blackboards, backpacksandblackboards@gmail.com. Also check out April’s Ready-to-Print Worksheet Packet that includes 15 fun and educational printables to keep students busy and engaged all month long!